Israel should be excluded from Olympic unions and committees, head of the Palestinian Football Association says. Rajoub said that he was personally prepared to lead the anti-Israel campaign, but only if he received help from the Arab countries. He also voiced strong opposition to any form of normalization with Israel, particularly in the field of sports. The term “normalization” does not exist in the Palestinian sports dictionary, Rajoub stressed during a seminar in Ramallah. 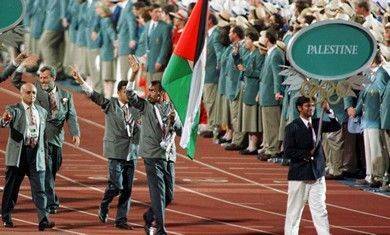 He added that sports in the Palestinian territories was “one of the methods of resistance” against Israel. Rajoub also called on Arab media representatives and athletes to visit the Palestinian territories, arguing that this was not a form of normalization with Israel. “The youth sector in Palestine is the basic fuel for the liberation project,” Rajoub said. He also emphasized the youth’s role in maintaining a “permanent state of confrontation” with Israel. Rajoub, who spent 17 years in Israeli prison, founded and headed the much-feared Preventive Security Service in the West Bank immediately after the establishment of the Palestinian Authority in 1994. While he was in the job, Rajoub was known for his close and warm ties with representatives of the Israeli security establishment – something that earned him many enemies among Palestinians, especially in Hamas. Rajoub was also considered a “moderate” leader and champion of contacts with Israelis, particularly representatives of Israeli left-wing parties and groups. At one stage he was also touted as a potential successor to Yasser Arafat.